You can plan a pretty picnic but you can never predict the weather. Take our protagonist – whose dream vacation dramatically turned into a nightmare – deeper into the haunting depths of the beautiful island in the newly released zone: The Olive Grove. 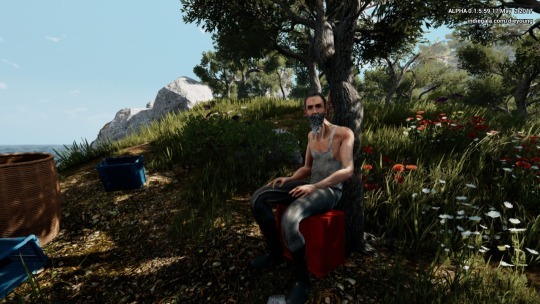 Heightening the adventure, this freshly added area will feature several new NPCs. Stay alive and discover someone you can communicate with who will reveal more about DIE YOUNG’s story! Check out some gameplay from Die Young’s alpha below! How To Get DARK SOULS III for $14.99 in 2 Simple Steps!